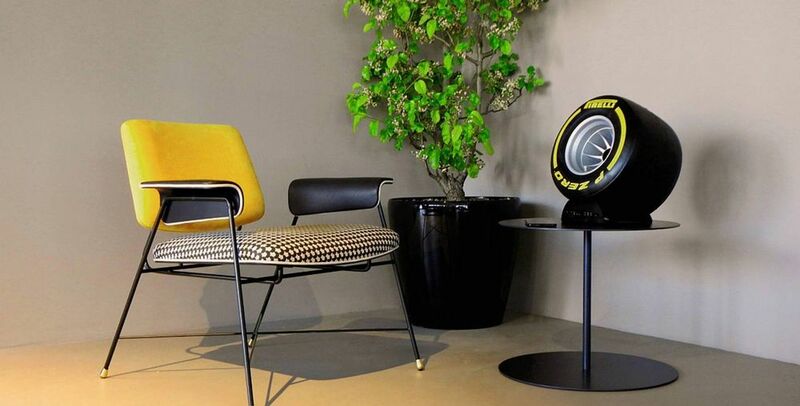 Ever wanted your music to emanate from a speaker that looks like an F1 tyre? 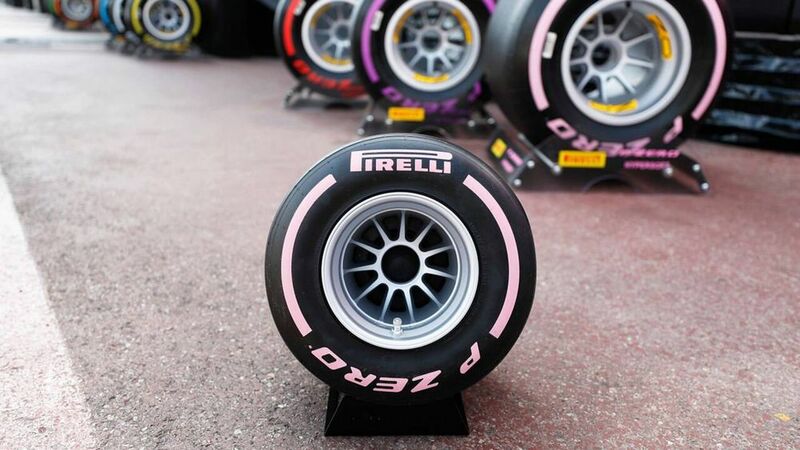 Pirelli has got you covered! We’re used to Formula 1 tyres making one of two sounds: screeching, due to a lock-up or a spin, or a big bang in the rare instance that one explodes. 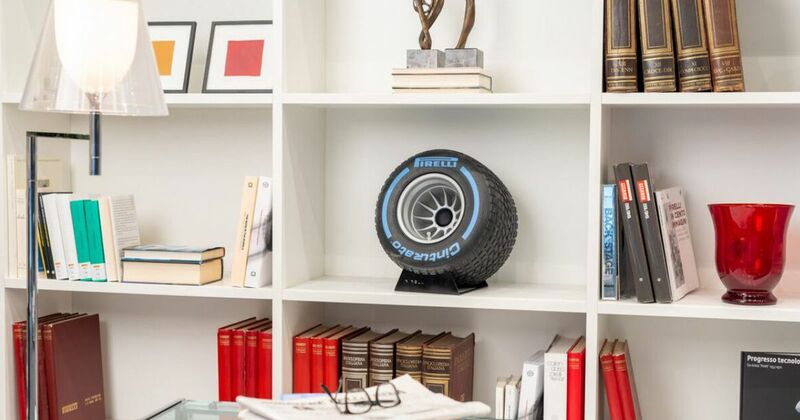 Pirelli’s new range of tyres will make all sorts of sounds, though, because it has teamed up with premium Italian audio company Ixoost to create these Pirelli Bluetooth speakers. The ‘Pirelli P Zero Sound’ is a half-scale replica of the real thing and is based on the smaller tyres which teams use for wind tunnel testing. That means they’re actually pretty big - measuring 330mm across and weighing 9.5kg, they’re hefty bits of kit. The speaker-y bits (if you’re interested) include a 100mm midwoofer, 25mm silk tweeter and a 100-watt digital signal processor… whatever all that means. We have to say they look pretty darn cool, although you’d have to be fairly committed to want to buy one. 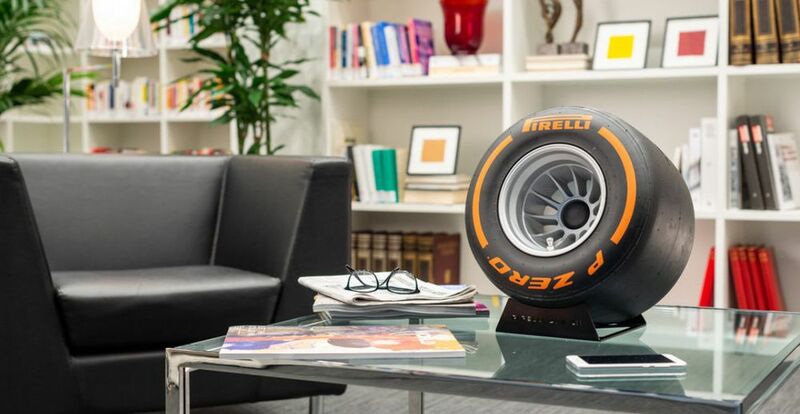 Not just because there’s nothing subtle about a chunky F1 tyre in your living room, but because each one costs a whopping €2400 - that’s around £2130, or $2800. Ouch. Being 2018 tyres, however, they should last for much longer than expected, so maybe they’re pretty good value after all. Still want one? Well, now you have to choose which compound you want! That’s right, each speaker is available in nine different compounds, from the hypersoft all the way to the full wets (pro tip: don’t give those to Pierre Gasly). So, which compound would you go for? 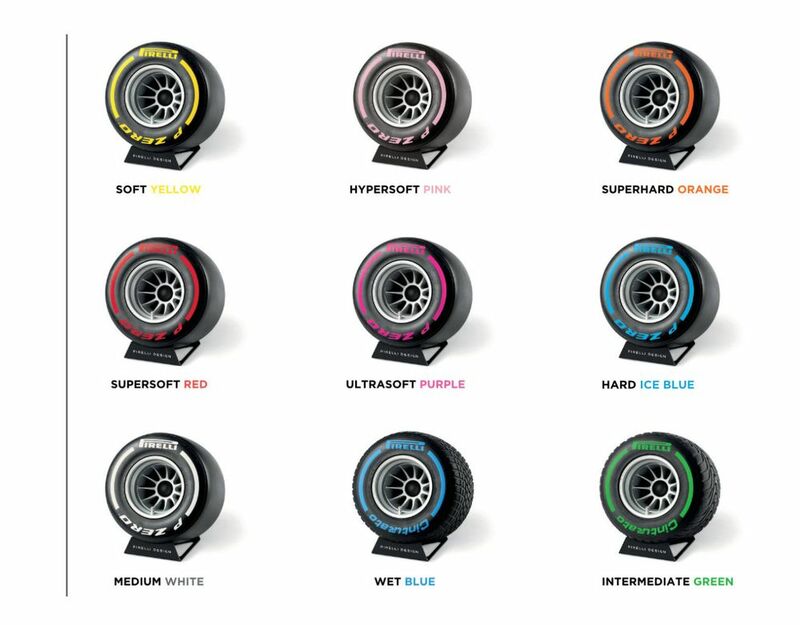 The yellow softs are a classic, but if you’re buying them this year you’ll probably have to go for a set of ultrasofts or hypersofts if you want any excitement. Don’t bother with the hards or superhards - sure, the blue and orange look cool, but they’ll end up in the back of a cupboard, never getting any use.